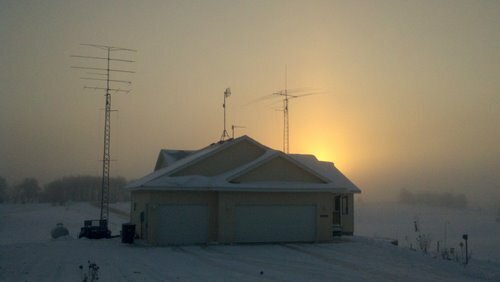 Here is a picture of the QTH from early December... probably about 4 or 5 storms ago. We have quite a bit more snow on the ground now. This was a quick picture from the DroidX as I drove away from the house.